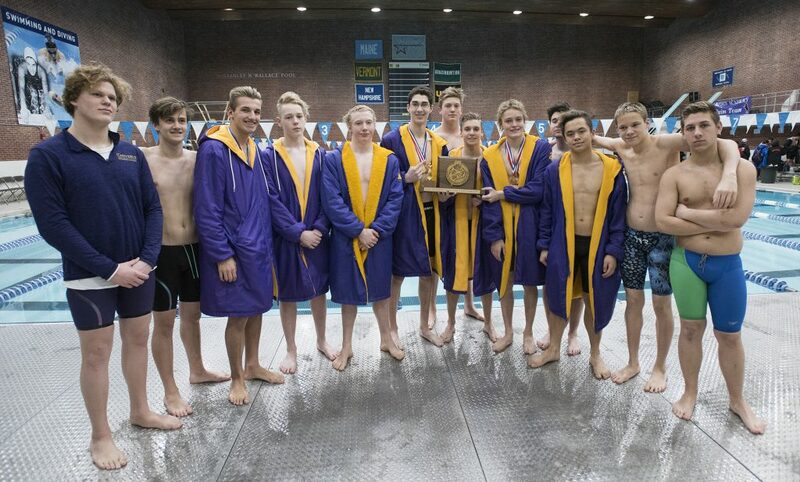 The Stags show their depth while winning another state championship, this time by 78 points. 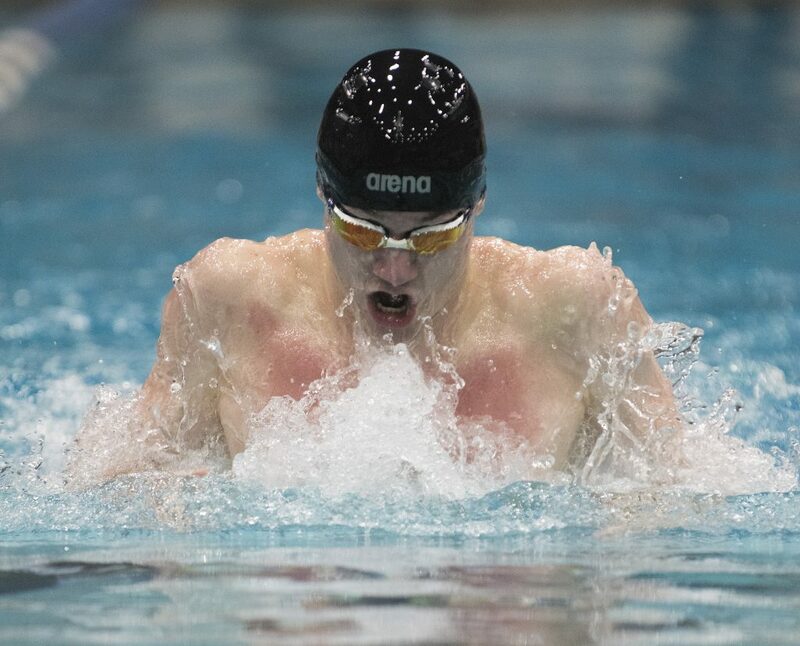 ORONO — In its bid to end Cheverus’ five-year stranglehold on the Class A swimming and diving championship, the Bangor boys came out flying Saturday at the University of Maine. Their opening salvo was a state record in the 200-yard medley relay. In the second event, Bangor’s talented sophomore, Carson Prouty, surged ahead of the Stags’ top swimmer, freshman Brim Peabody, in the 200 freestyle. Prouty led at every turn and by a body length at the halfway mark, but Peabody closed hard in the final length. At the wall, nearly every official and backup timer pegged Prouty as the winner, but the timing pad disagreed, clocking Peabody in 1 minute, 43.78 seconds and Prouty .03 slower. That Peabody’s teammates, Phineas Underwood, Chase Cameron and Jeremy Baker, finished third, fifth and ninth added to the momentum, and the Stags maintained their lead for the rest of the meet. Cheverus finished with 328 points to 250 for runner-up Bangor. Brunswick was third at 174, followed by Waterville/Winslow (152), Portland (145), Messalonskee (125), Thornton Academy (120), South Portland (112) and 13 other schools. Indeed, Cheverus pulled away in the freestyle sprints, outscoring Bangor in the 50 and 100 free by a combined 60-0. The Stags had seven swimmers (Adams, Peabody, Underwood, Baker, Cameron, Quintin Hastings and John Hight) place among the top six in at least one individual race, and two more (Jack Martin, Clayton Hatch) place among the top 12. The Stags clinched the meet before the concluding 400 freestyle relay, but won that anyway when Adams, in the anchor leg, held off Brian Hess of Brunswick by a mere .18 seconds to win in 3:25.17. Colby Prouty, a Bangor senior, was named performer of the meet after going 4 of 4 in his races, with one meet and two state records. Prouty won the 200 IM by more than 12 seconds in a meet-record time of 1:52.75. 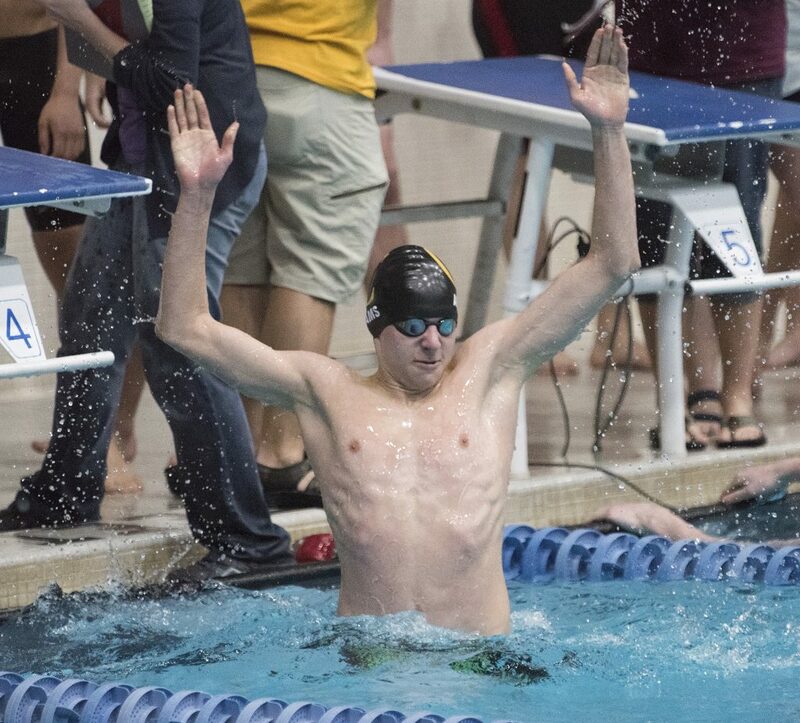 He also lowered his own state mark in the 100 breast stroke to 56.99 and swam on two winning relays. Prouty swam the breast stroke leg on the 200 medley relay that broke Bangor’s 2017 state record, finishing in 1:37.33. He also swam on the victorious 200 freestyle relay team. 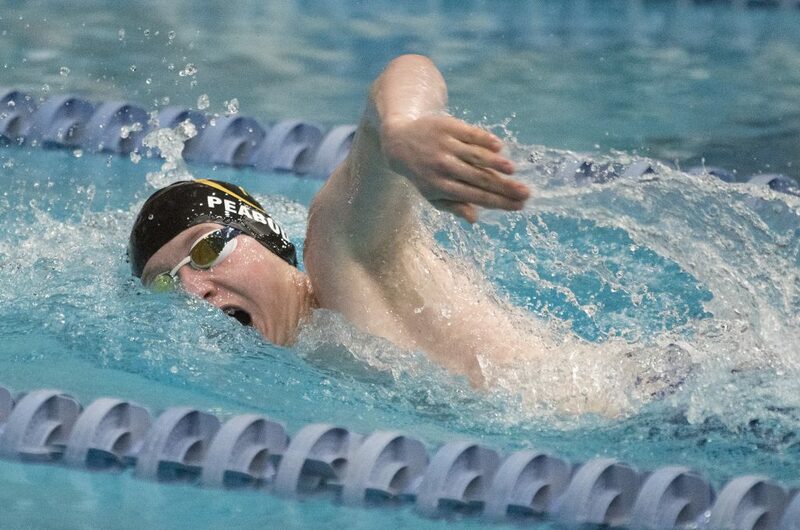 Peabody added a victory in the 500 freestyle in 4:47.41 and was the only swimmer to break 5 minutes. 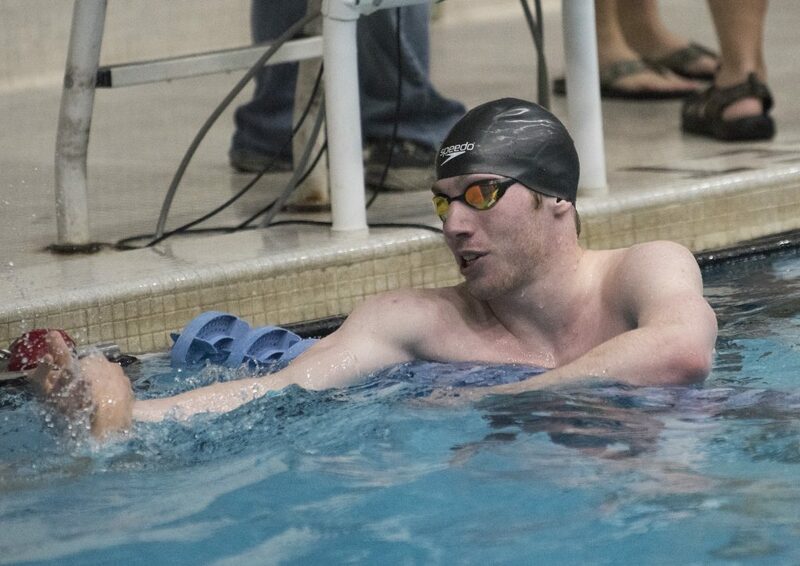 He also swam on Cheverus’ second-place 200 freestyle and winning 400 freestyle relays. Carson Prouty came back to win the 100 backstroke by more than two seconds in 51.81. Brunswick had two individual winners, Matt Yost in the 100 freestyle (49.13) and Hess in the 50 freestyle (21.87). 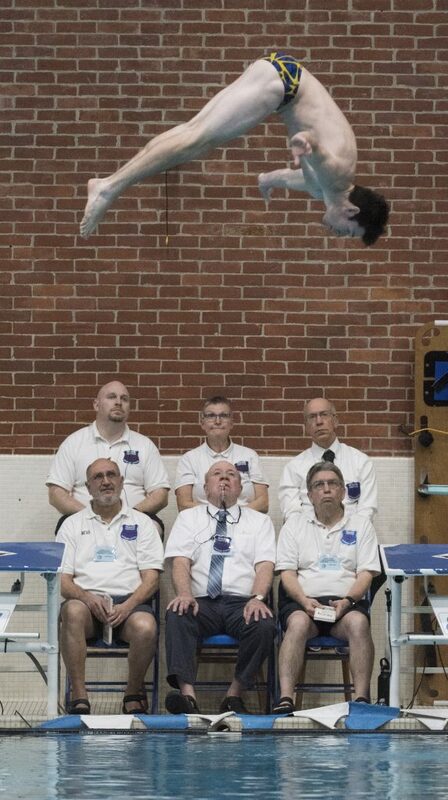 Anthony Wardwell of Bucksport won diving with 396.00 points. Cameron LaBree of Hampden Academy won the 100 butterfly in 53.22. Eight of the nine scoring Cheverus swimmers are underclassmen. The purple reign seems destined to continue.